Bacterias removal | Reda s.p.a.
REDA separators of RE-B serie are specially designed centrifuges used to separate micro-organisms (spores and bacterias) from raw milk. Improvement of shelf-life of milk on the market. Bacteriological quality improvement of milk used to make cheese, milk and whey powder. Restore of the quality in case of unfavorable milking, logistics or environmental conditions. 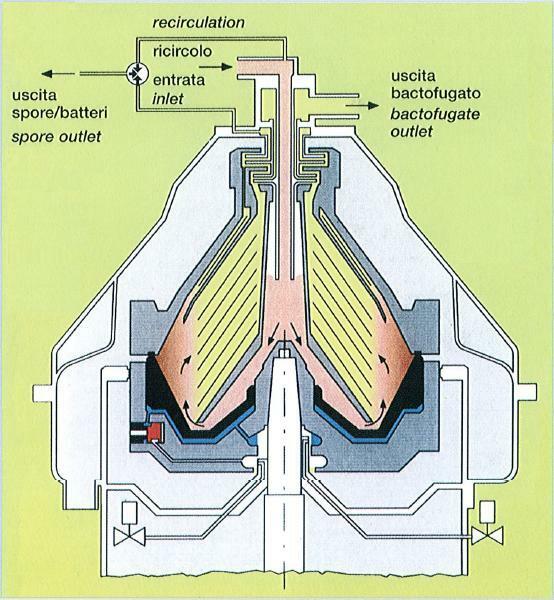 During separation of bacterias, milk gets also cleaned from all possible dirt and extraneous parts. The process of removing micro-organisms can be managed with the standard single phase system (without recirculation) or with the two-phases system (with recirculation). 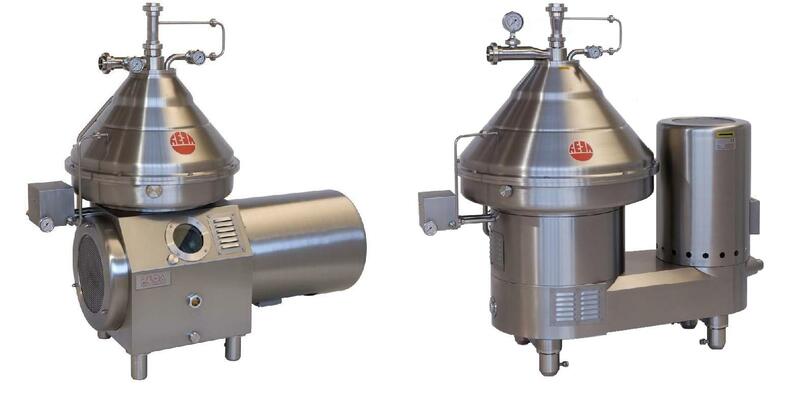 These centrifuges can be placed before or after a skimming separator but to get the highest separation level of bacterias product temperature should not be below +55°C, so that its natural position is in a pasteurisation or sterilization line. Furthermore removal efficiency of bacterias also depends on the characteristics of the product. Standard design of these separators provides the product feeding under pressure by a soft inflow system. Then the product is accellerated to separation speed without any breakdown of the fat globules. The trateated milk exits under pressure, therefore no recovery pump is necessary.